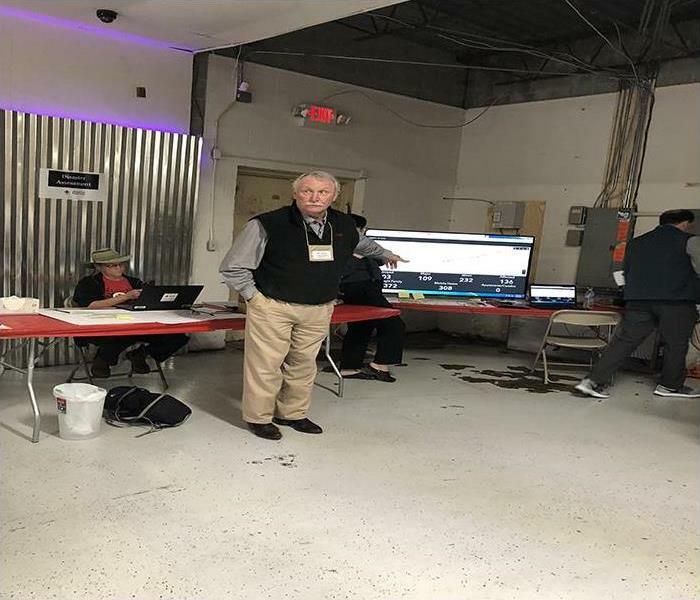 SERVPRO of Montgomery’s Sales & Marketing representative, Betsy Bowen, joined in with the Red Cross to view their command center in Beauregard and Smiths Station, Alabama after the deadly tornadoes in Lee County. 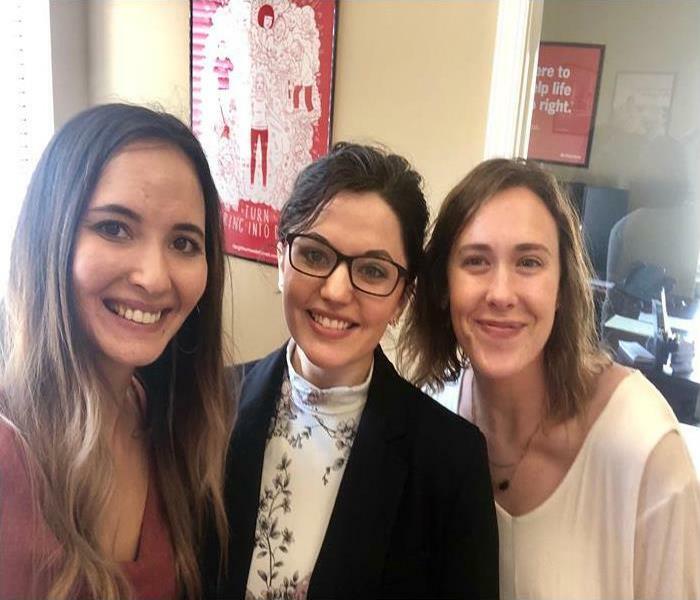 While there, she got to see how the Red Cross rapidly responds during natural disasters and she also got to witness how this amazing community came together in a time of need to serve and remember those that were affected by the storm. 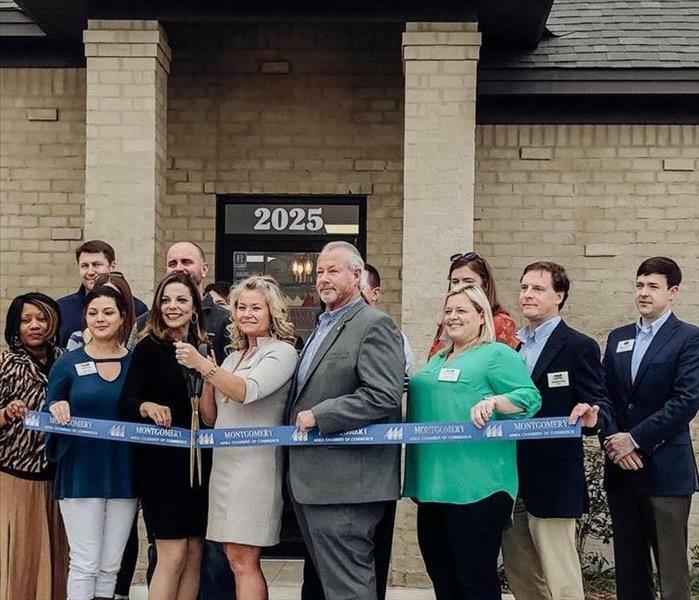 SERVPRO of Montgomery’s sales and marketing representative, Ashley Snell celebrated along with the Montgomery Chamber of Commerce for the ribbon cutting at Alabama Homefinders yesterday. SERVPRO of Montgomery always enjoys welcoming the new members of the Montgomery Chamber. Welcome Alabama Homefinders! 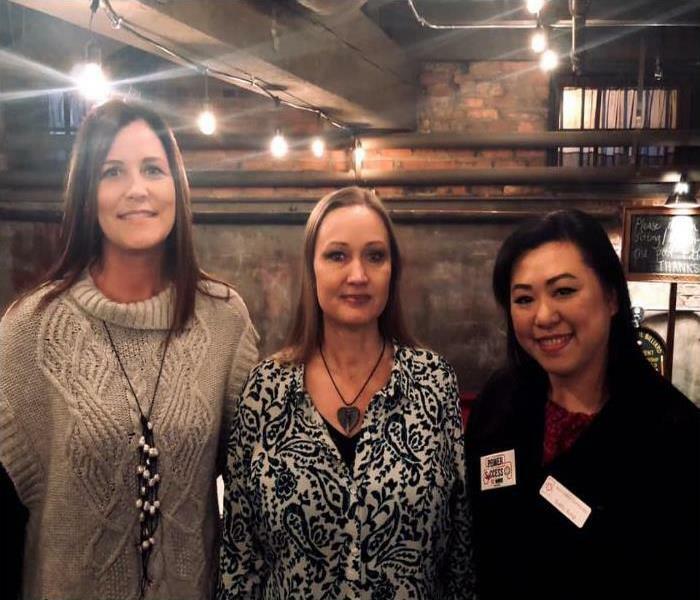 Our crew had the pleasure of attending the Montgomery Chapter 267’s Networking Event for NAWIC (National Association of Women in Construction). The event was held at the Porter Room located below Dreamland BBQ. We had a wonderful time! We enjoy attending local community events! 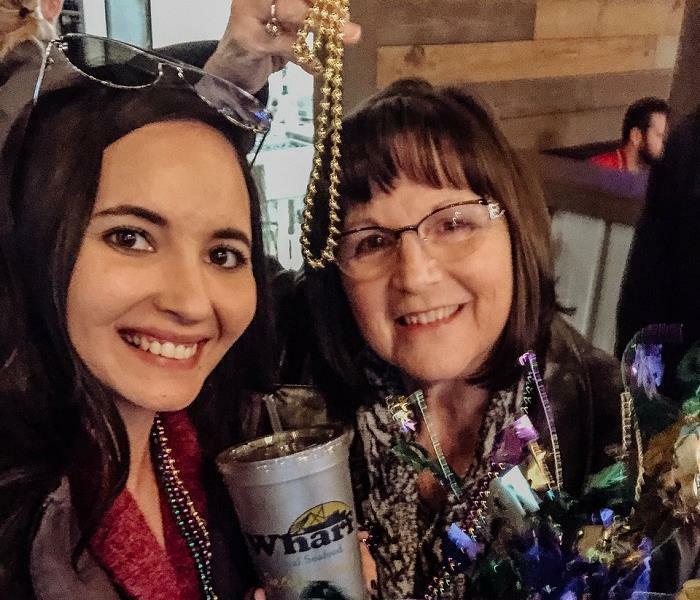 SERVPRO of Montgomery's Marketing Team celebrated Mardi Gras and the launch of RSVP magazine February/March issue. Ashley, Jennie, and Chris enjoyed a fun evening of food, drinks, and door prizes at the Warf in Eastchase. Congratulations, RSVP magazine on another great cover! We are proud to be members of the Montgomery community and honored to be part of the launch party! As a MIIA (Montgomery Independent Insurance Association) sponsor, SERVPRO of Montgomery's whole marketing team is at it again…with a fabulous night out at the 2019 MIIA Awards Banquet. With great food, beautiful people and continued fellowship, we love to pass it on in support of our community. SERVPRO of Montgomery Marketing Rep, Ashley Snell, hosted a Lunch & Learn at Jessica Majors - State Farm Agent Office. "Good Food, Good Fellowship, and Good Companies learning together.” Our staff is highly trained in property damage restoration and we enjoy the opportunity to educate our fellow Montgomery area business owners. 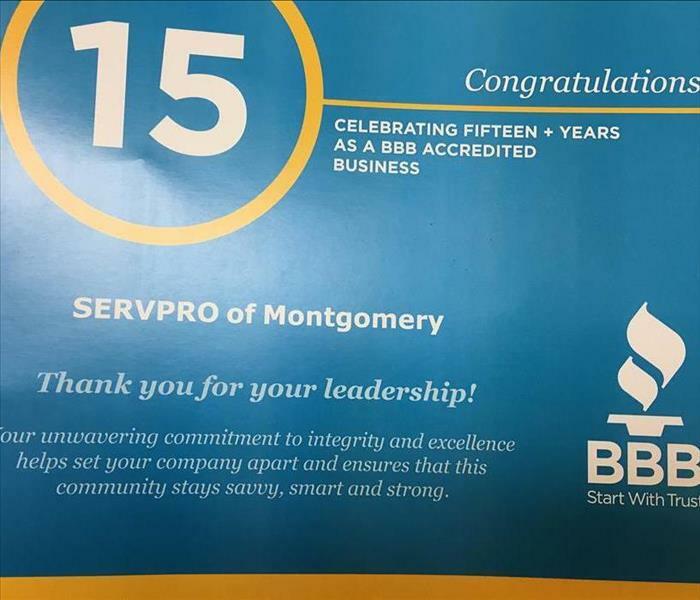 SERVPRO of Montgomery North is proud to announce that we are celebrating over fifteen years as a BBB accredited business! It has been an honor serving our local community for all these years, and we look forward to many more. Here's to the next fifteen years!And as always, our team is here for you if your property suffers water, fire, or mold damage. Our team attended the recent Camellia Bowl game to honor and recognize local Montgomery Fire Department - Station 2 Firefighter, Woody Bozeman. Thank you for your sacrifice and for all that you do for our community. We will be honoring a First Responder at 12 different bowl games in various local areas in honor of the first-ever SERVPRO First Responder Bowl game. ESPN will broadcast the game from Dallas, TX on Wednesday, December 26th at 12:30 PM ET. The newly renamed bowl is designed to honor the sacrifice and service of the brave men and women who are the first line of defense in local communities when the unexpected or the unthinkable happens. The SERVPRO First Responder Bowl will honor first responders including police officers, firefighters, EMS worker and the many others who are the first to provide help at the scene of an emergency. 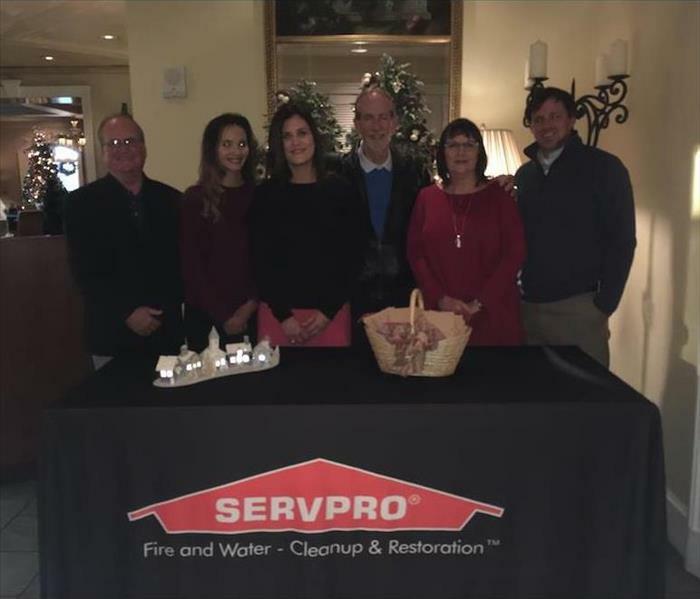 SERVPRO of Montgomery North had a holiday party last night for our clients at the Wynlakes Golf & Country Club. Light hors d’oeuvres and champagne punch were served and everyone received a small SERVPRO Christmas gift. It was a great opportunity to thank our clients for putting their faith in our team! What’s better than spending the day in the office? Soaking up the sun and playing golf at Wynlakes Golf & Country Club for the MIIA Annual Spring Golf Tournament & Social! We had a great time being a sponsor and hosting our ‘Beat the SERVPRO Guy,’ where the closest to pin won $100! Thank you to everyone who attended, and we are already looking forward to next year's golf tournament! 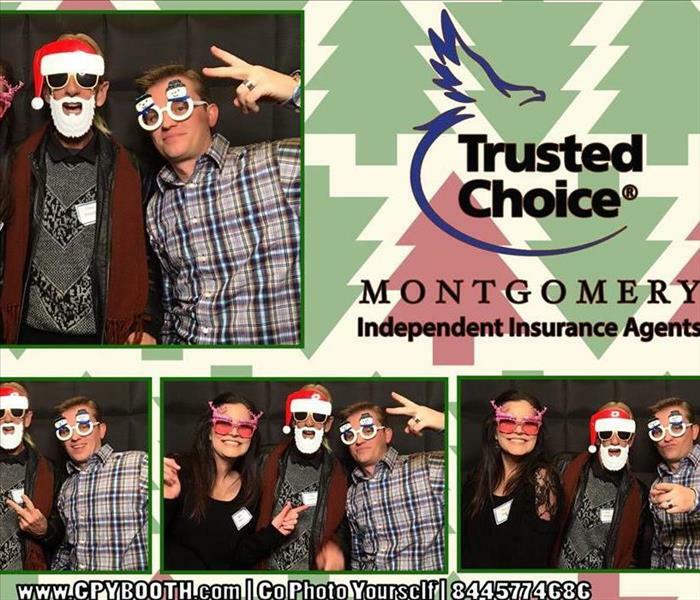 The team at SERVPRO of Montgomery North had a fantastic time at the recent Montgomery Independent Insurance Agents Christmas Social. Not only was it a great night of food, beverages, photo booths, and door prizes but it was also a great night of donations. Many of the attendees, including our team members, donated to the Child Protect Children’s Advocacy Center. Seeing our local community come together to help those in need brought a smile to our faces! 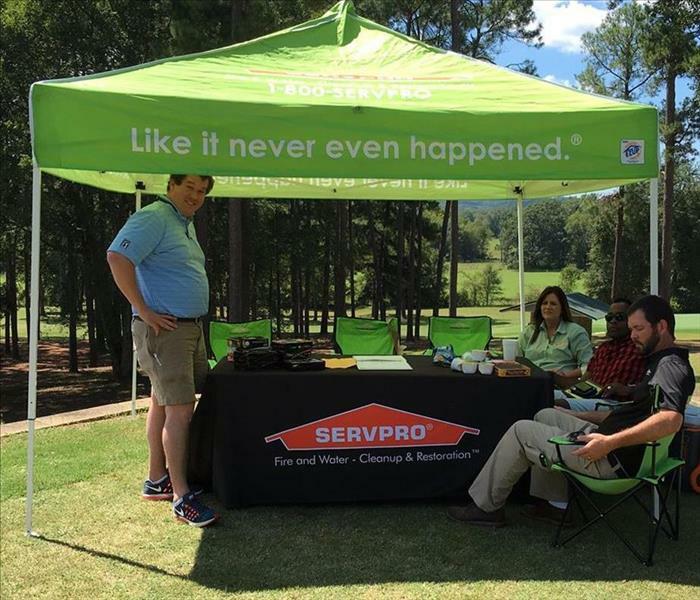 The 21st Annual United Heating and Air, BSA( Boy Scouts of America) Golf Tournament took place, and our team at SERVPRO of Montgomery North had the pleasure of attending. The Arrowhead Country Club hosted the tournament, and all proceeds went to the Boy Scouts of America. We were delighted to sponsor a hole for this get event. We are dedicated to our community and enjoy helping in any way. The recent convention of the AASB at the Hyatt Regency Birmingham was attended by more than 500 education leaders from the state. SERVPRO of Montgomery North was proud to be a sponsor supporting the theme of "Powering the Future." Just as this training event for the participants offers board leadership and development to enhance the education of our young Alabamians, SERVPRO strives to offer information to help protect our communities. "Thanks for choosing SERVPRO, we are always here to help. 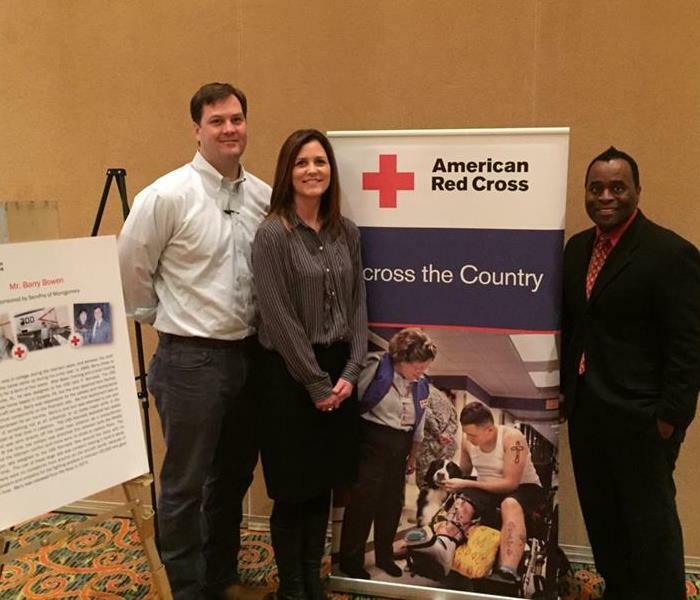 SERVPRO of Montgomery North recently participated and sponsored the holiday Alfa Insurance CSR Regional meeting. It was a great turnout, and everyone enjoyed the food and goodies! It was also a great opportunity to get together with local businesses and network with one another. We appreciate everyone that attended, and we hope that everyone has a fantastic holiday! 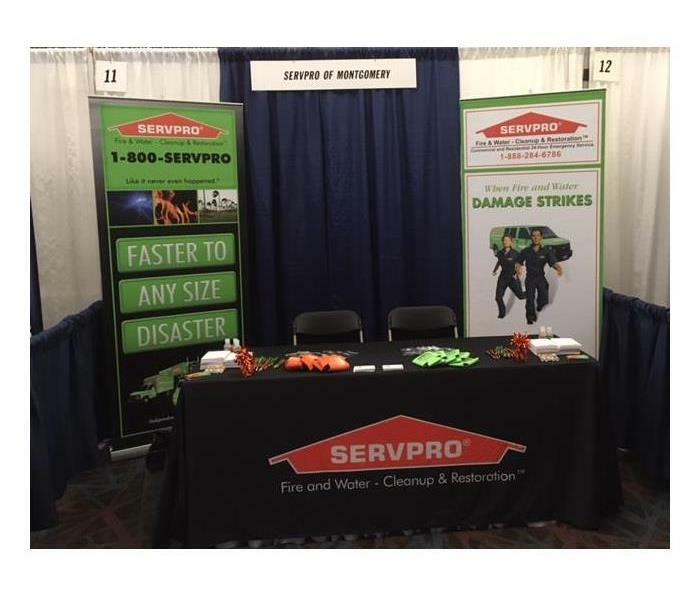 Our SERVPRO of Montgomery team is always happy to support local businesses and organizations. 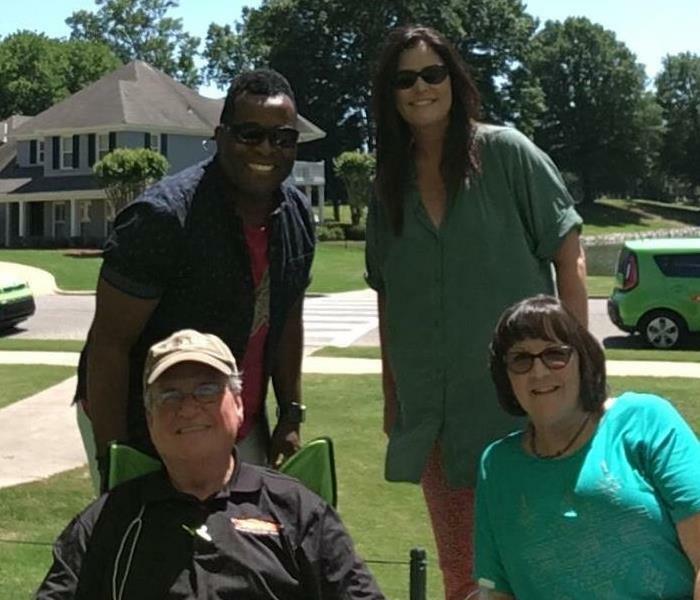 From the Greater Tallassee Area Chamber of Commerce golf tournament held at Wynlakes Golf & Country Club in Montgomery to the Greater Montgomery Insurance Professionals, our team is ready to participate. 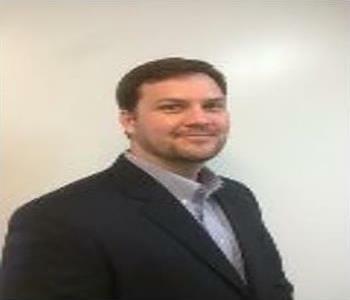 The Greater Tallassee Area Chamber of Commerce is focused on advancing the retail, commercial, civic and general interest of Tallassee and its trade area. Our experienced team of restoration professionals live and work in the local area and stay active in the community. 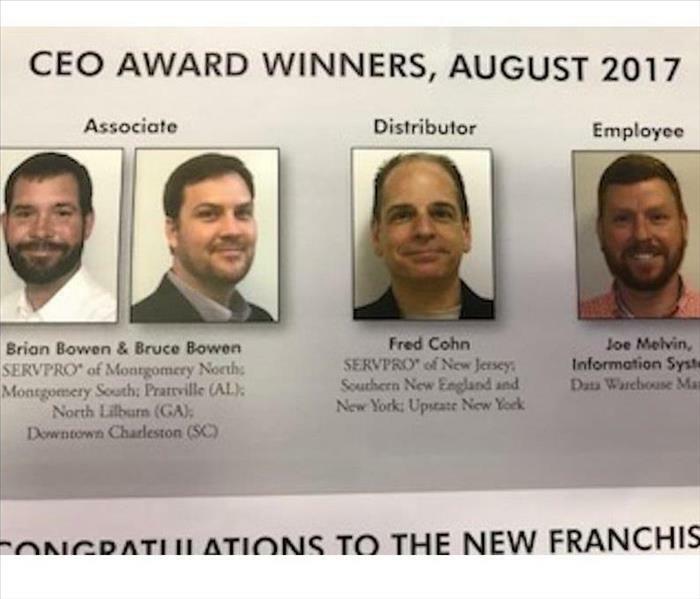 SERVPRO of Montgomery North owners, Bruce Bown & Brian Bowen, have been awarded the 2017 August CEO 'Associate' Award. Our team could not be any more proud of this achievement, and we hope to continue to serve our customers in the best way we can. SERVPRO of Montgomery North is available 24 hours a day, seven days a week, 365 days a year to better serve you. We are always here to help, and we are ready for whatever happens. 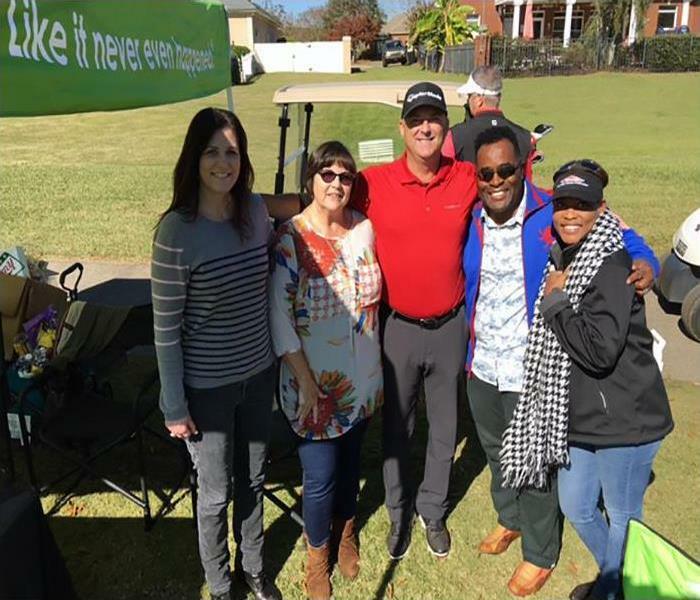 Our team at SERVPRO of Montgomery North was a proud sponsor of The Montgomery City Championship, which was held at the Lagoon Park Golf Course. 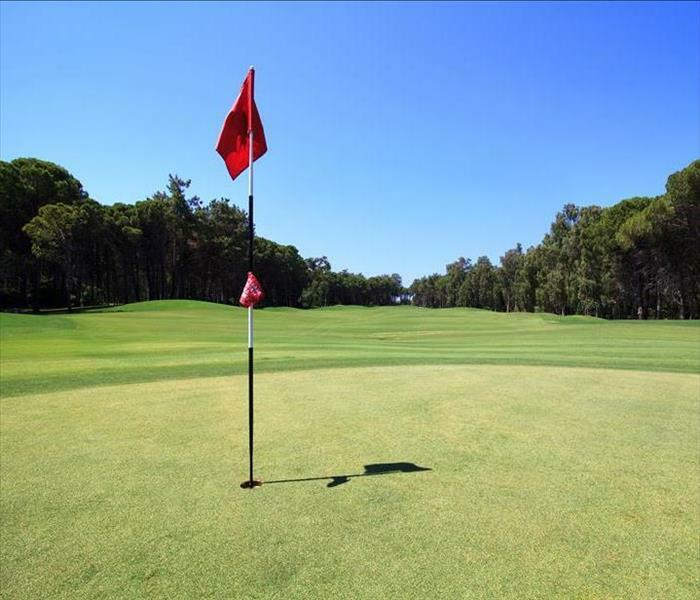 Any male amateur golfer 16 years of age and older could participate. SERVPRO of Montgomery North is a big supporter of our local community. 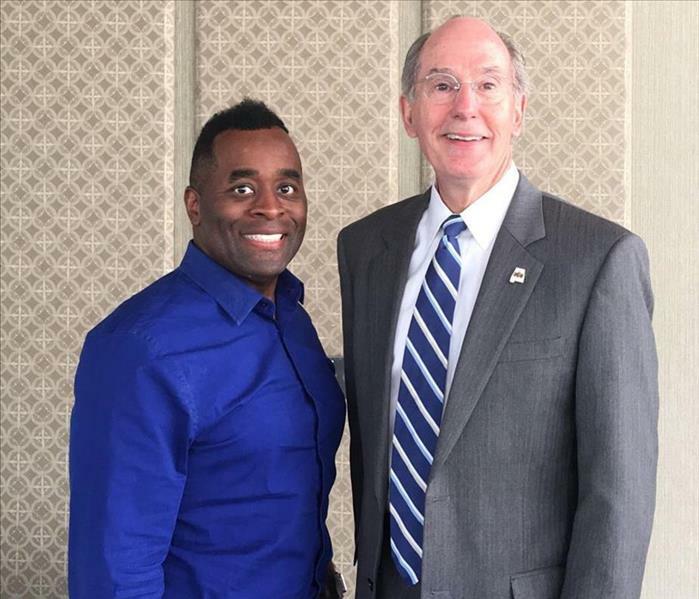 Mr. Young Boozer III, State Treasure, was the guest speaker at a recent Capital City Kiwanis Club meeting. He gave an entertaining and informative speech that was greatly appreciated by all who attended. 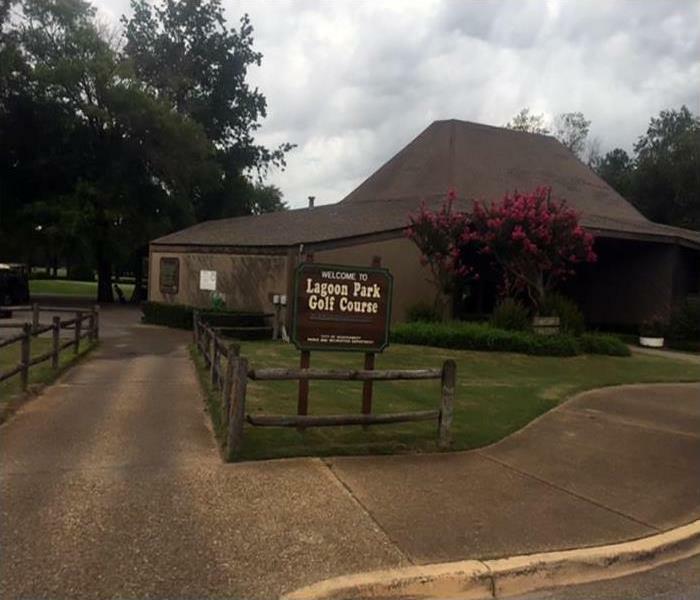 One of the participants was our own Morris J. Scott; he is a Key Account Manager at SERVPRO of Montgomery North who lists this outstanding Club as one of his clients. Morris leads by example as we all try to do our part to make our community a better place. The Greater Montgomery Insurance Professionals group treasurer this year is our own Tracey McPherson. She has been a Key Account Manager at SERVPRO of Montgomery North since 2013. 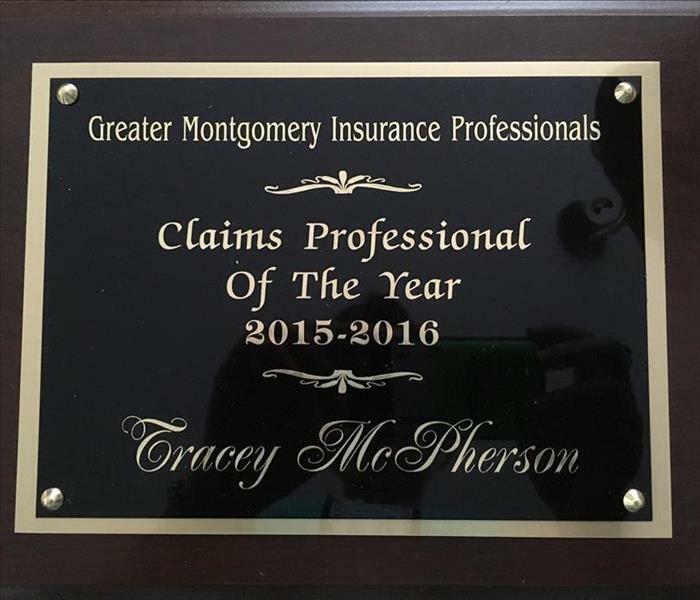 Tracy was recognized as "Claims Professional of the Year 2015-2016" by this association. We are proud of Tracey, and we are very proud of the work she does for our communities. Jennie Grant was recognized by the Greater Montgomery Insurance Professionals as "Insurance Professional of the Year 2015-2016." We are delighted with her award since Jennie, who has been a Key Account Manager at SERVPRO of Montgomery North since 20100, has been recognized for efforts. The Association, SERVPRO, and our communities all benefit from Jennie's hard work and dedication. It is always a beautiful day for golf at the Prattville Country Club. We enjoyed representing SERVPRO of Montgomery North at the AIIA Golf Tournament. We strive to make the local communities aware of all the services we offer to keep everyone safer and protect their property. Now, if only someone would teach our team how to hit the ball straight. 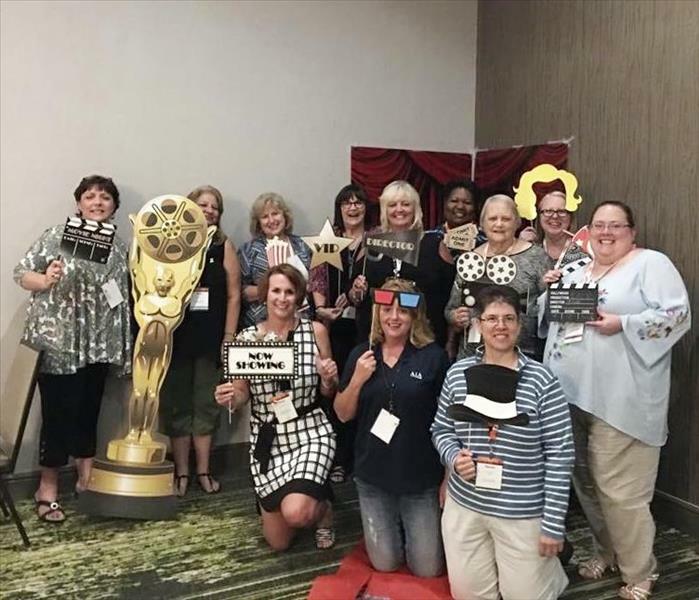 Greater Montgomery Insurance Professionals "Movie Night"
SERVPRO of Montgomery team members Jennie Grant and Tracey McPherson attended the recent Alabama State Conference. We not only proudly helped sponsor this event, but we are also a component of the organizing committee for the Greater Montgomery Insurance Professionals (GMIP) who hosted the affair. The photo depicts our GMIP members at the ‘Movie Night’ themed welcome dinner. As the cameras were rolling, our SERVPRO representatives discussed our community involvement in this business organization and how we offer continuing education classes. This exchange of knowledge and ideas is a benefit to all who deal with insurance and risk management. The final result is that our residents profit the most when service and business organizations coordinate their efforts to assist our customers and clients. Now is the time to prepare for the 2016 United Heating & Air Boy Scouts of America (BSA) Golf Tournament. This local tournament has been held for 21 years with great success thanks to our many sponsors. The tournament will take place at Arrowhead Country Club on November 18, 2016. If you would like to donate, our main need is door prizes including gift cards, coupons, tickets, t-shirts, cups, etc. Please contact Tracy McPherson if you can contribute to the tournament in any way. 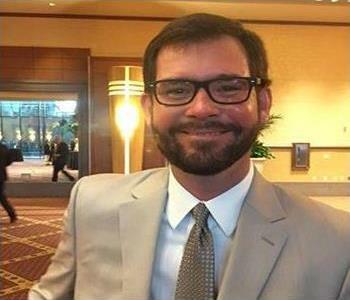 Tracy is a member of the 2016 Boy Scouts of America Golf Tournament Committee. The SERVPRO of Montgomery team is proud and happy to support the Boy Scouts of America and our local community. 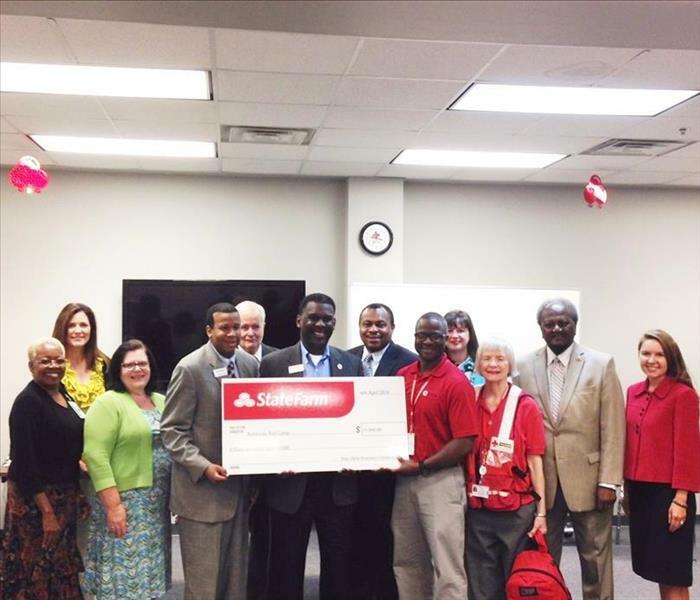 The local chapter of The American Red Cross received a $15,000 donation from agents of State Farm Insurance. Pictured on the top left is Betsy Bowen from SERVPRO of Montgomery North who is a board member of our local charity. She represents our SERVPRO that is partnering in the "Home Fire Campaign" as we strive to make our surrounding communities safer from fires and flooding. Call if we can be of assistance in a time of need. SERVPRO of Montgomery North attended the 2nd Annual Central Alabama Heroes Breakfast honoring our local Heroes. All funds raised support the programs and services offered to our neighbors through disaster service response, educational, life-saving programs and Service to Armed Forces. Pictured from left to right are Bruce Bowen, Betsy Bowen and Morris Scott. 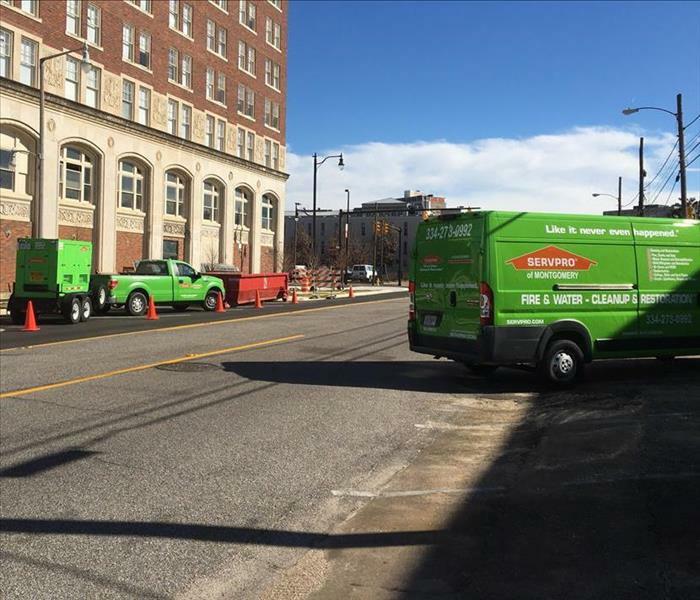 SERVPRO specializes in the cleanup and restoration of commercial and residential property. 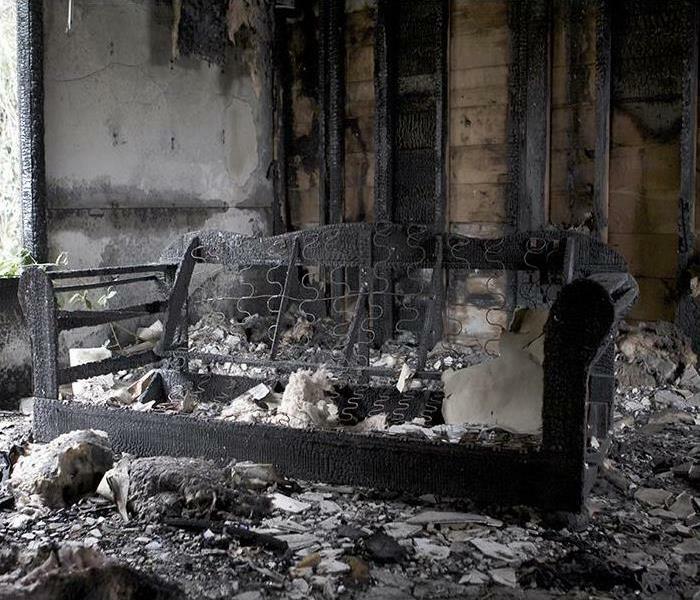 If your Montgomery area business or home suffers a fire, smoke or water damage event, call us for a fast response. We are proud to support the Red Cross.